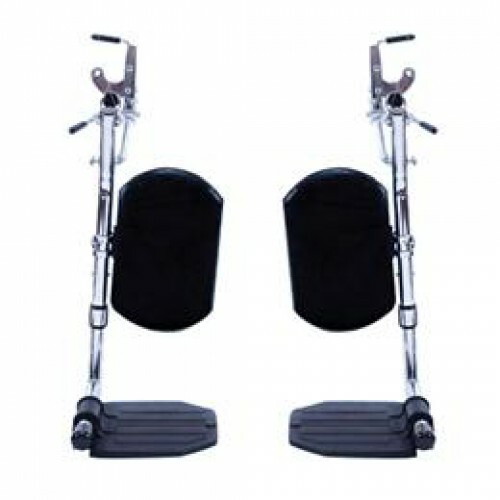 Invacare Wheelchair SwingAway Elevating Legrest with COMPOSITE Footplates provide leg comfort for any Invacare Manual Wheelchair. The SwingAway Elevating Legrest is made with a composite footplate and aluminum arms that attach to the Invacare Standard Manual Wheelchairs. The Invacare SwingAway Elevating Legrest provides support for the feet and lower leg while the mobility patient is using the wheelchair. The SwingAway Elevating Legrest swings out of the way to allow inegress and egress from the wheelchair. The leg rests elevate to provide the patient with relaxing comfort. Vitality Medical carries other Wheelchair Accessories and Wheelchair Parts for your wheelchair.